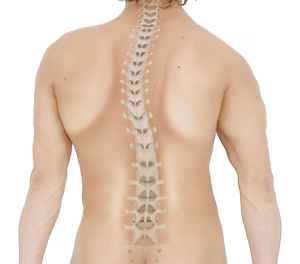 Kyphosis is a condition of abnormal curvature of the spine that causes rounding of the upper back or a hunchback. The thoracic portion of the spine normally has a “C”-shaped curve, but excessive forward curve in the spine leads to kyphosis. In adults, kyphosis may develop because of degenerative diseases such as arthritis, disc degeneration, osteoporotic fractures, traumatic injuries and slippage of vertebral disc. Kyphosis most commonly affects the thoracic spine, but can involve the cervical and lumbar portions too. The symptoms of adult kyphosis may vary based on the severity, ranging from minor change in the shape or appearance of your back to more severe nerve problems and long lasting back pain. There may be weakness in the legs because of the pressure exerted on the spinal cord and nerve from the spinal curvature. Difficulty in breathing may also develop because of pressure over the lungs. Your doctor will take a brief history which includes family history, history of your present symptoms, past medical history (whether you have undergone spinal surgery in the past). Then, a careful physical examination is done to evaluate the spine movement, strength of the muscles and sensation to make a proper diagnosis and rule out other similar conditions. Some diagnostic tests such as X-rays, MRI scan and CT scan will be done to see the structure of the spine and measure the curve. The MRI and CT scan helps in identifying nerve and spinal cord abnormalities.